Here are the dates for Mike Stern's spring tour of Europe. Stern's band will include Dave Weckl on drums, Tom Kennedy on bass, and Bob Franceschini on sax. The lineup for the 22nd annual Toronto Jazz Festival has just been announced. One of the highlights of the festival, which runs from June 19th through June 29th, is sure to be John Scofield, Mike Stern, and John Abercrombie all playing with their trios - all on the same night (Friday June 27th). Check the official website for more details, including the full festival line-up. 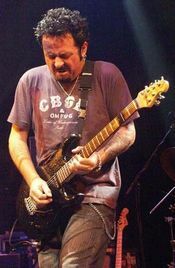 Steve Lukather will be on Rockline radio this Wednesday, April 23rd from 8:30pm to 10:00pm PST. Check here for affiliates. Check here for internet stream sources. Huge News! Drummer Virgil Donati has reformed the Virgil Donati Band, with Alex Machacek on guitar. The band will play their first gig at The Baked Potato on May 3rd. Word is the band will be playing some of Donati's material from the Planet X Quantum album, and some new arrangements of Donati's older stuff. Joining Donati and Machacek will be Mitch Forman on keys, and Rufus Philpot on bass. 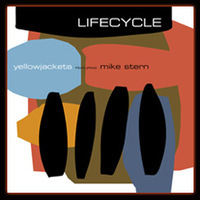 The Yellowjackets have teamed up with guitarist Mike Stern for a new album entitled Lifecycle. Release date is May 20th. The band will be touring with Stern in the US and Europe later this year. Teaser video for upcoming Greg Howe album! A teaser for the new Greg Howe album Sound Proof, coming June 24th. (New York, NY) Created by renowned audio pioneers David and Norman Chesky, HDtracks.com is the world's first high resolution digital music site offering DRM-free music in multiple formats, as well as cover art and complete liner notes. "High quality recordings have been my life's passion, and I wanted to create a digital music site that music lovers would enjoy. With HDtracks you truly get the same level of quality that you receive when buying a CD from a traditional record store," says three-time Grammy nominated composer and producer David Chesky. HDtracks offers the highest quality file formats for any platform or media player. Consumers can choose the file type that best suits their needs: AIFF, FLAC (both CD quality), or 320 kbps MP3. In the near future, select titles will be offered as DVD-Audio quality 96/24 FLAC files. The HDtracks catalog is comprised of many of the finest independent labels in the world, such as the audiophile-oriented Reference Recordings and Chesky Records, David Byrne’s eclectic world music label Luaka Bop, and avant-garde imprints such as Mode Records and John Zorn’s Tzadik. Other genres such as indie rock (Bar None, Daemon), jazz (Sunnyside, Evidence), and blues (Alligator, Blind Pig) are well-represented, with more content added to the site daily. Moreover, a freshly-inked deal with The Orchard, a leading global digital music distribution and marketing company, guarantees that the HDtracks catalog will continue to grow exponentially. Additionally, HDtracks offers comprehensive editorial content, with complete liner note scans offered with every album purchase. "If I buy a Stravinsky or McCoy Tyner recording, I want to know who is playing, where it was recorded, as well as any other behind the scenes information I can get,” says David Chesky. HDtracks customers can browse full artist biographies, album descriptions, reviews, and label affiliations, resulting in a more informative way to buy and enjoy music online. 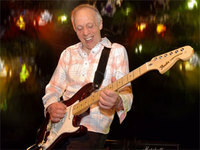 FYI - The current press release regarding the upcoming London Guitar Show states that Greg Howe will be performing as part of the "C3" concert on Saturday June 14th. As noted recently by Howe himself, that information is inaccurate. 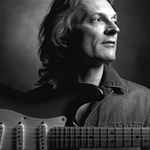 I've learned that UK-based guitarist Jamie Humphries will be performing in Howe's place.